Make sure you have the safest, most fun day possible at Winterfest by reviewing the info below before you go. And remember, “Quality, not quantity”: Drink responsibly and don’t drive after imbibing. Can I get an Early Bird ticket? Early Bird tickets will not be available for 2019, but if you enjoyed the smaller crowd, short lines, and specialty beers of Early Bird hour in the past, join us for the new Friday night Exclusive Specialties Session, where you get those benefits AND an extra 2 hours (3 total) of sampling. 60+ Hoosier breweries and guests will be pouring 120 beers, meads, and ciders that you can’t get at the Saturday session. While Early Bird tickets are not sold for this festival, we encourage you to get pre-banded at HopCat or Tomlinson Tap Room so you can use the designated Pre-Banded Only entry lanes at any of the three entrances (north, south west, or south) to get in more quickly. Check out what your favorite breweries post and share your pics on Instagram and Twitter with #IndyWinterfest. What do I get with the IN Beer Brigade membership package? When will I get my T-shirt? With this package, you will receive a one-year IN Beer Brigade membership and the associated benefits, including limited edition glassware, complimentary packaged beer, and a T-shirt at the release event of your choice in January 2019. See brigade.beer for dates. Do I need to print my ticket, or can I show it on my phone? Because technology-related issues such as glare on phones and internet connectivity can dramatically slow down entrance for all attendees, all tickets need to be printed for the event. We appreciate your understanding and cooperation. Rest assured that we’re focused on getting everyone in to enjoy our festivals as quickly as possible and have found that scanning from phones significantly delays this. However, we’re always looking at ways to improve the festival experience, including using technology to scan phones without having to increase ticket prices or delay entry. How can I get in faster? Can I get my wristband before the event? PLEASE HAVE YOUR VALID 21+ ID AND PRINTED TICKET READY. You can get your wristband before the beer fest to get into the event more quickly by using designated Pre-Banded Only entry lanes at any of the three entrances (north, south west, or south) to get in more quickly. NEW THIS YEAR: We’ve added a third entrance. You can now enter at the north, south west, or south gates. Review the map and brewery booth locations, and please take note of the DD drop-off/pickup locations to ensure everyone’s safety. Why should I go to this festival? Your ticket purchase directly benefits local Indiana breweries by funding the nonprofit Brewers of Indiana Guild, founded in 2000 by some of Indiana’s original microbrewers and dedicated to supporting Hoosier brewers through legislative, marketing, and educational efforts. Ticket proceeds are reinvested in projects like the Drink Indiana Beer app, DrinkIN magazine, and the Indiana Craft Brewers Conference. Plus, paying breweries for beer and putting on a fun and safe beer festival featuring dozens of breweries and hundreds of beers isn’t cheap. $3 of every ticket sold benefits our charity partner, the nonprofit Joy’s House. Tickets are available online only here, and at the gate while they last. Want a chance to win tickets? Check out the #IndyWinterfest hashtag on Twitter and Instagram, and follow your favorite Indiana breweries on Facebook for chances to win. Are there any special events leading up to the festival? Local breweries often hold special events the week before Brewers of Indiana Guild festivals. Visit the events page for a list of happenings. If your brewery or organization is hosting an event to celebrate local beer, let us know. Do I have to be 21 to attend? Can I bring my kid? All attendees–even DDs–must be 21+ with valid ID. I bought tickets but now I can’t go/I’d like to upgrade or downgrade my tickets. Can I get a refund/tickets to another event/will you help me sell them? All ticket sales are final, and we can’t assist in reselling tickets. Tickets can be purchased for others, but all attendees must be 21+ with ID. If you haven’t received your receipt with a link to print your tickets, please check your spam folder before contacting Etix Customer Support. For other ticketing questions not listed on this FAQ, please contact Etix Customer Support. If you are an IN Beer Brigadier but your ticket doesn’t show that you are a member, please contact us. All IN Beer Brigade members must have a ticket that shows that they are a member. As with most large events, Brewers of Indiana Guild beer fests are held rain, snow, or shine and no refunds will be given, so please dress and prepare accordingly. To ensure everyone’s safety, DDs may not consume alcohol. Those who do will be asked to leave the premises. Designated drivers will receive free soft drinks, water, and coffee. All questions about online ticket purchases must go directly to Etix Customer Support. Register at the Volunteer page, and subscribe to IN Brew News to be notified about future opportunities to help. Where should Lyft/Uber/the taxi/my friend drop me off at the event? To ensure the safety of everyone as well as smooth traffic flow, all designated drivers should drop off/pick up at the designated areas. All ride services, including DDs dropping off guests, will either enter Gate 6 off of Fall Creek Parkway or Gate 1 off of 38th Street. Turn flashers on once on the Fairgrounds and you will be identified and directed to the West Pavilion to drop off or pick up customers on the north end of building. Please do not stop in middle of street to unload. There is plenty of space to pull over in the round-about area and unload. Follow all directions from parking attendants. No drop offs are allowed on 38thStreet or Fall Creek Parkway outside the Fairgrounds. This creates a safety issue. Please pull into the Fairgrounds and a parking attendant will direct you to the appropriate location. Are there any discount codes for Lyft/Uber/taxi? Please check with rideshare companies to see if they’re offering discount codes. Do I have to purchase samples of beer? Nope! 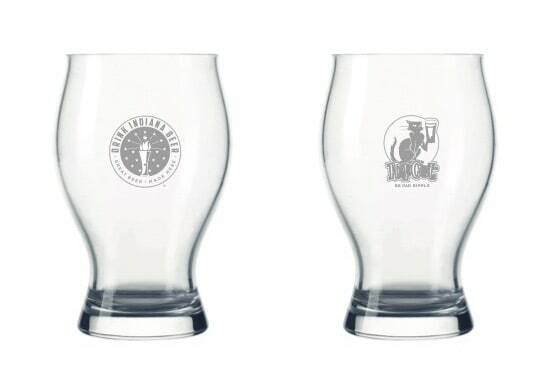 All non-DD ticket holders receive a tasting glass good for as many 3 oz. pours as you can responsibly drink. Brewers of Indiana Guild festivals are opportunities to sample local beer and meet local brewers: They are not races to drink as much as you can. Anyone who appears to be intoxicated will be denied additional samples and may be deemed to be in violation of local public intoxication statutes. Will drinking water be available at the festival? Bottled water will be available for purchase and at water stations throughout the grounds, and water stations will be available for refills. You may bring in sealed, clear bottles of water, but no filled CamelBaks (empty are fine) or other unsealed containers containing liquid. See the full list of permitted/prohibited items above. Designated drivers will receive free soft drinks and water at the DD stands, as well as free coffee. DDs are not permitted to drink alcohol. Though most vendors will accept cards, we encourage you to stop at an ATM beforehand to get cash for food and merchandise. Where can I find a beer list? See the list of breweries and beer the week leading up to the event here, and check out #IndyWintrfest on Twitter and Instagram to see what your favorite breweries are bringing. Will gluten-free beers be available? While gluten-free beers are typically not available from local breweries at Guild fests, mead and cider typically are. See the list of what’s being poured here. How do I get tickets that I won? If you won tickets on social media from Brewers of Indiana Guild, email us for details on claiming them. If you won tickets from another organization, please contact them for details on claiming. If you’re at the event and lose your ticket, please go to the gates for assistance. Before the event, any questions about tickets must go directly to Etix Customer Support. As always, we encourage you to cycle, walk, carpool, or take Lyft, Uber, or a taxi. Parking will be available at the Fairgrounds for $8. Wherever you park, neither the Brewers of Indiana Guild nor the event host facility can be held responsible for your vehicle. You may park at the Indiana State Fairgrounds overnight as long as you pick up your vehicle the next day. Do I have to wait in line to enter? In 2017 we implemented new processes to expedite entry for all, and this year we’ve added a third entrance and Pre-Banded Only lanes at each entrance (north, south west, and south side of the building) to make entry even easier. See this link for info on how to get pre-banded. Save money by purchasing in advance now. Prices increase at the South West gate by $10, if tickets are still available. Designated Driver tickets will only be available until GA sell out. If you or a member of your party have an emergency, seek out the nearest police or security officer, volunteer captain, or staff person for immediate help. Help will also be available at the entrance/exit gate. Smoking is prohibited except for the designated smoking area which shown on the map. Who can I ask if I have a question about the event? If you have questions about the locations of breweries, first aid, or anything else, the Volunteer Captains in brightly colored shirts will be able to guide you. No. Tickets will be scanned upon initial entry and can’t be scanned again. Where is the media or volunteer entrance? If you’d like to cover the event for promotional or news purposes, please contact us. If you’re a member of the media and would like to cover the event, please email us before Friday, October 19 so you can be placed on our media list before the event. Media access requires credentials and a valid ticket. When almost everyone arrives and starts drinking at the same time at a beer fest, almost everyone seems to have to use the restroom at the same time. Which sometimes means lines. At each one of our annual festivals, we keep tabs on lines, and after the event, we work with the portable toilet companies to find out which placements received heavy traffic and which didn’t so we can improve the following year’s layout. And we add more portalets when necessary. We’ve found that guests gravitate to the toilets with the longest lines, likely because they’re the most visible. So based on years of experience, we recommend that you carefully review the map and brewery booth locations. We may move portable toilets based on the prior year’s usage, so take note of where the restrooms are, just as you would an emergency exit. Because we know: When you gotta go, you gotta go. Can Designated Drivers drink alcohol at the festival? Designated drivers will receive free soft drinks, water, and coffee. To ensure the safety of all, DDs who consume alcohol will be asked to leave the event. Yes. Visit the official Drink Indiana Beer merchandise booth for tees, hats, and more, all benefiting the mission of Brewers of Indiana Guild to support the Hoosier brewing community. IN Beer Brigade memberships will also be available. Purchases directly benefit Brewers of Indiana Guild. Guest vendors will also have plenty of beer-related goodies, so crack open your piggy bank. Can I buy pints of beer? No. Beer will only be dispensed into the tasting glass you receive at the door. 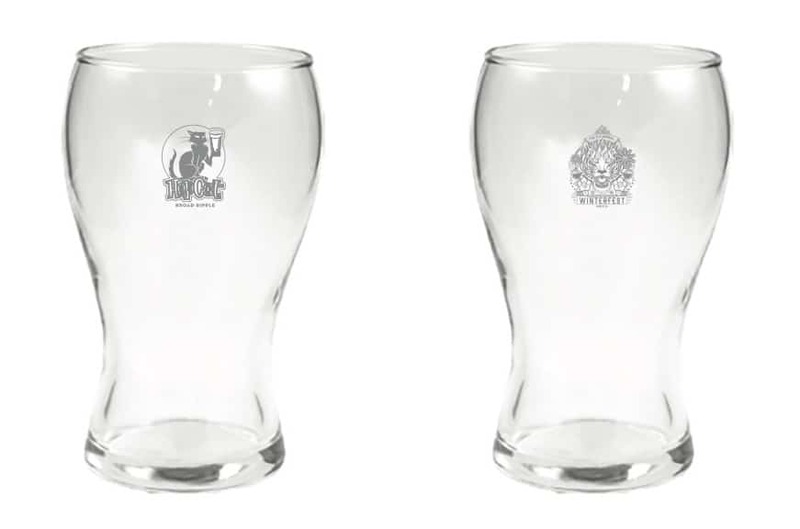 Breweries will not dispense beer into anything other than the official taster glass. What will I drink out of? Non-DD ticket holders including GA and Exclusive Specialties Session will receive a commemorative tasting glass good for as many 3 oz. pours as you can responsibly drink. The Exclusive Specialties Session will feature special glassware featuring the event logo, limited to the first 750 guests. Anyone caught intentionally breaking tasters will immediately be escorted from the event. If you don’t want your taster at the end of the festival, please deposit it at a recycling station upon leaving or give it to a friend. Will I get a map/program at the event? You can review the map and brewery booth locations here before the event. The event ends promptly at 9 p.m. on Friday and 6 p.m. on Saturday. All attendees will be asked to exit the grounds beginning at those times. As always, we encourage you to drink responsibly and drive only when sober. DD ticket holders receive complimentary coffee, soft drinks, and water. DDs may not consume alcohol. Volunteers will direct designated drivers not attending the event to the designated pickup locations. Where should Lyft/Uber/the taxi/my friend pick me up at the event? Volunteers will direct designated drivers not attending the event to the pickup locations. I didn’t get a chance to buy gear/you were out of my size. How can I get it? Drink Indiana Beer merchandise will be available online and at future events. Please check with nearby hotels for room availability. I lost something. Where is Lost & Found? If you lost an item at the festival, visit Lost & Found at the Drink Indiana Beer merchandise booth or contact us after the festival. What does this beer festival support? Your ticket price directly supports the Brewers of Indiana Guild, the nonprofit trade association that represents Indiana’s craft breweries. Ticket sales also make the fest possible for you to enjoy, and $3 of every ticket sold benefits our charity partner, the nonprofit Joy’s House. Unlike many for-profit festivals, breweries are given stipends for attending Guild fests, helping to offset their staffing, travel, and production expenses. Brewers of Indiana Guild is supported almost entirely by festival proceeds. The Guild donates $3 from every ticket sold to charity partners like Joy’s House, the Leukemia & Lymphoma Society, Lotus Education & Arts Foundation, and Asante Children’s Theatre. Brewers of Indiana Guild lobbies for brewery-friendly laws (such as Sunday growler sales) in the legislature, promotes the craft beer industry to the public and business communities, and serves our member brewers by facilitating communication and continuing education programs like the Indiana Craft Brewers Conference. Festivals are expensive to produce, and only a fraction of gross ticket sales are profit. Brewers of Indiana Guild produces the DrinkIN magazine, the Drink Indiana Beer app, annual events, and a variety of other initiatives geared toward connecting craft beer consumers with producers and affiliated businesses who make Indiana beer possible. Can’t find what you’re looking for? Email us, or send a message on Facebook or Twitter.